Home / Featured / Anambra Wins World Bank Award on Immunization. Anambra Wins World Bank Award on Immunization. 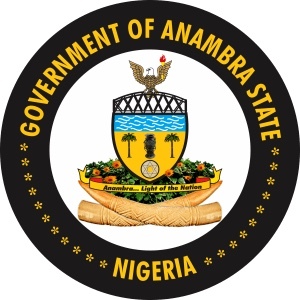 Anambra State has won the best in Immunization Award for outstanding performance in Health in Nigeria under the World Bank “Saving one Million Lives” initiative aimed at expanding primary healthcare to women and children. The Health Excellence Award based on the World Bank assessment of the 2016/2017 yardstick for measuring health sector performance in Nigeria was presented by the Vice President of Federal Republic of Nigeria, Prof. Yemi Osinbajo to the Governor of Anambra State Chief Willie Obiano at the 3rd Thisday Health Dialogue held at Yaradua Centre Abuja at the weekend. Vice President Osinbajo commended Anambra for the award pointing out that the Health Excellence Award was in line with the Federal Government policy which promotes universal health coverage to stem maternal and child mortality by expanding Immunization coverage to under-five-year olds in far flung rural communities across the country. Speaking later on the award, Governor Obiano represented by his Deputy Dr. Nkem Okeke said that the award was yet another proof that the state was doing something right in the health sector. He promised to sustain the on-going silent healthcare revolution by expanding the scope of the immunization coverage and healthcare delivery to ndi Anambra through the state’s new Health Insurance Scheme. Factsheet, the World Bank Saving One Million Lives stated that the initiative was focused on evidence-based, cost effective interventions that were proven to address the leading causes of morbidity and mortality. “Improving maternal, newborn and child health through delivering an integrated package of interventions at thousands of primary healthcare clinics with referral links, including skilled access to a skilled healthcare provider,” it said. The World Bank Saving One Million Lives initiative was launched in 2015 at a meeting of the UN Commission on Essential and Life-Saving Commodities for Women and Children in Abuja. Other dignitaries at the award event include Hon. Minister of Health, Prof Isaac Adewole, Anambra Commissioner of Health, Dr. Joe Akabike, World Bank representatives and officials of Thisday newspaper.